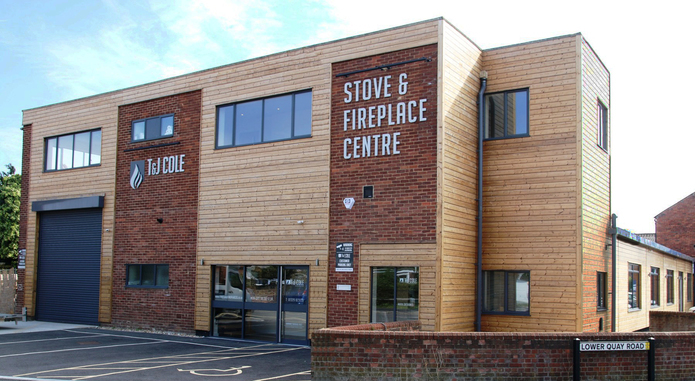 T and J Cole Ltd are the South's leading specialist in wood burning stoves, multi fuel stoves, gas fires, electric fires and fireplaces situated in Fareham, Hampshire. They are a family-run company with over 40 years experience in the fireplace industry. Having these years of knowledge, T and J Cole offer a complete service, from bespoke design to installation. We offer every possible choice in products, including gas fires, electric fires, marble and stone fireplaces, wood burning stoves and multi-fuel stoves. Our fitting service comes with piece of mind knowing that all of our technicians are in house fitters with over 20 years experiance. They are all employees of the company and are HETAS and Gas Safe registered. Our fitting service covers most of Hampshire, including Portsmouth, Petersfield, Southampton and Winchester. Our showroom is always worth a visit, with over 150 fireplaces on display and an impressive range of gas and electric fires working live, so that our customers can see the real flame effect for themselves. 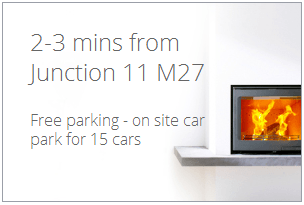 In addition, the solid fuel display section has live working stoves to show you all the benefits of real log fires. With so many options available, we have well-trained staff at our showroom to guide you toward the best choice and suitablity. Family run business est over 40 years. Largest showroom in the South. Located at Cole House, Lower Quay Road, Fareham, PO16 0RG.